"Tutti a tavola" means 'everyone to the table'. It's the essence of what Massimo Mele remembers from his happy childhood growing up in Hobart. It's also the name of the one-off dining experiences he curates at the Salt Meats Cheese warehouse every few months. The long communal tables at Tutti a Tavola encourage diners to get to know one another. "If you have Italian heritage, hearing the words 'tutti a tavola' means 'everyone to the table' for a big communal feast where there is lots of great food, the wine is flowing, everybody is sharing and laughing and having a great time," says the friendly, affable 30-something. Two Italian boys - Massimo Mele and Stefano Di Blasi share a love of good honest Italian food. It's clear from the outset that Mele and Salt Meats Cheese co-director Stefano Di Blasi love orchestrating these social occasions in the 950 square metre larder. And, from a diner's perspective, part of the appeal is the theatre of watching Mele himself tacking in and around the tables, cooking, orchestrating the staff and greeting his customers as if they are family. 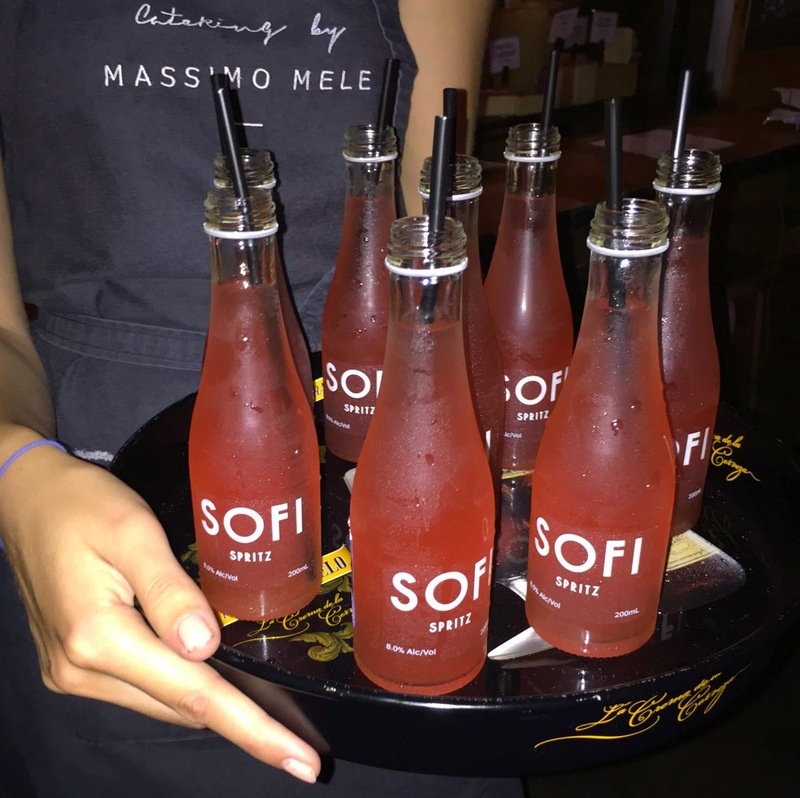 Guests are given a Sofi Spritz on arrival at Salt Meats Cheese. 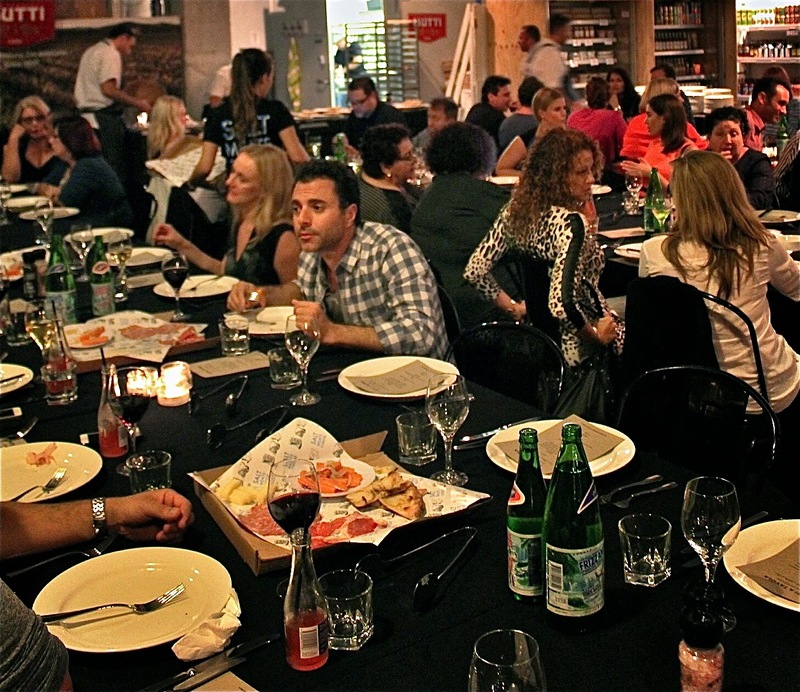 At the recent Roman edition of Tutti a Tavola, there were diners present who have attended every one of Mele's Sydney events. 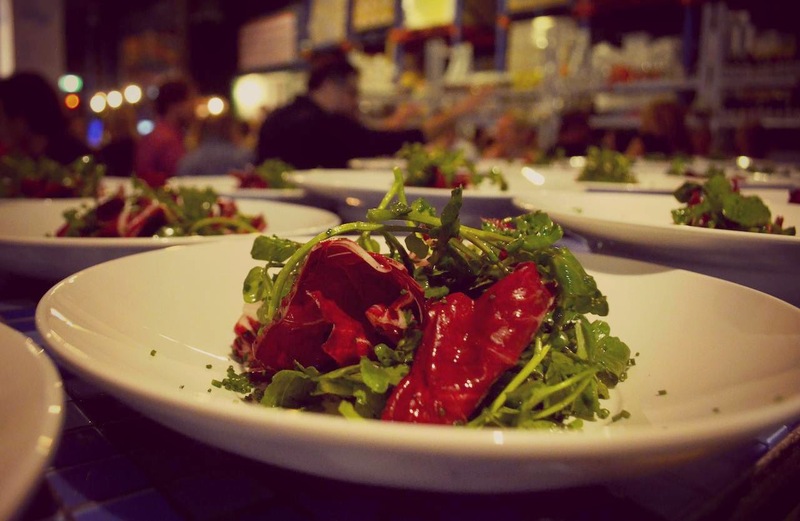 "Tutti a Tavola is a fantastic excuse for me to celebrate great regional Italian street food. These big communal feasts are so much fun and the feedback is that it inspires people to make feasting with their own family more of a tradition," he says. Communal tables are at the core of the Tutti a Tavola concept at Salt Meats Cheese. Photo: Saskia Mulder. 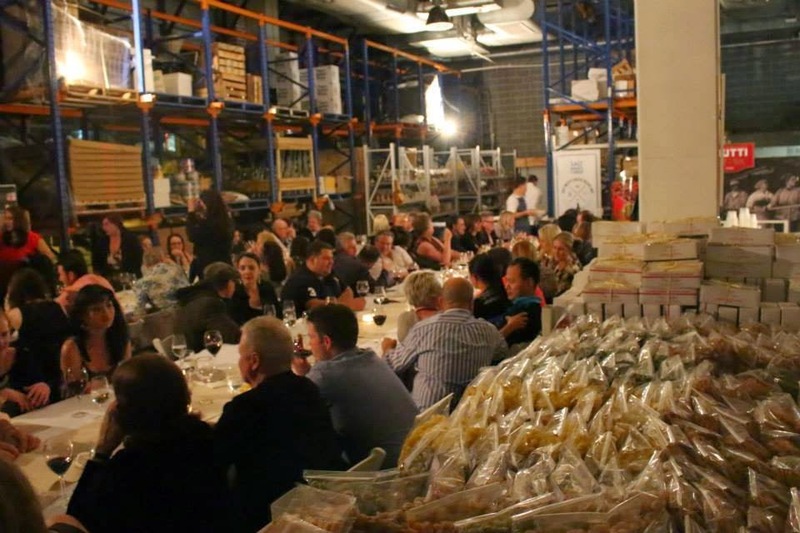 Last week, the La Scala on Jersey executive chef and owner of Catering by Massimo once again commandeered the interior of the Alexandria food emporium for a feast of epic proportions. Like the space itself, there's a refreshing unpretentiousness to the compact fixed price menu. Pair this with a convivial commotion, musicians belting out traditional Italian tunes and you have an event that is intimate, informal, relaxed and friendly. "There are no name tags on the tables, so it's very informal and about bringing people together and having fun." Tutti A Tavola is such a warm, intimate experience that diners arrive as strangers and leave as friends. 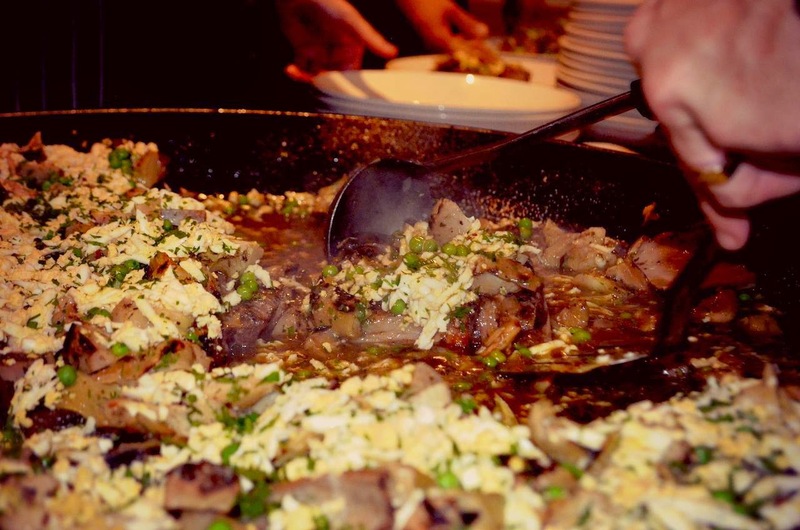 This month's four-course menu, which was served with wine and beer, followed a Roman Street Food theme. The feast featured time-tested recipes served on three long tables designed to replicate the colour and organised chaos of an Italian feast. 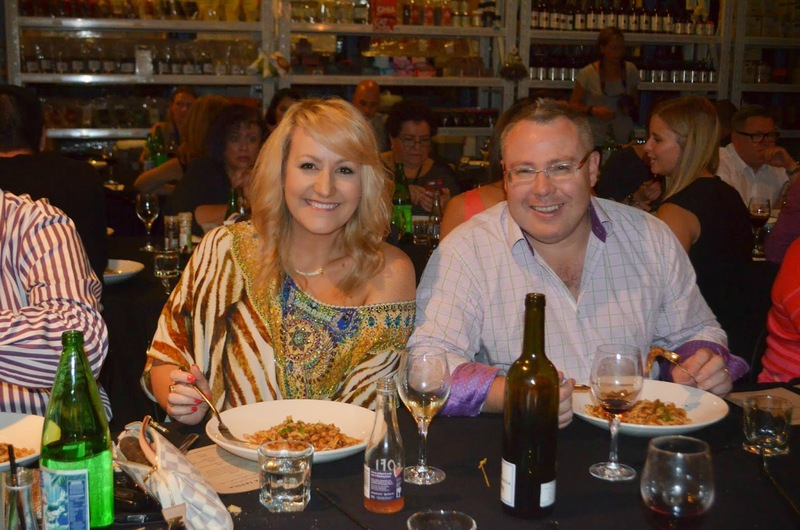 Although the first event featured a table set for 40, Tutti a Tavola has, like a good Italian family, doubled in size since the first offing four years ago. 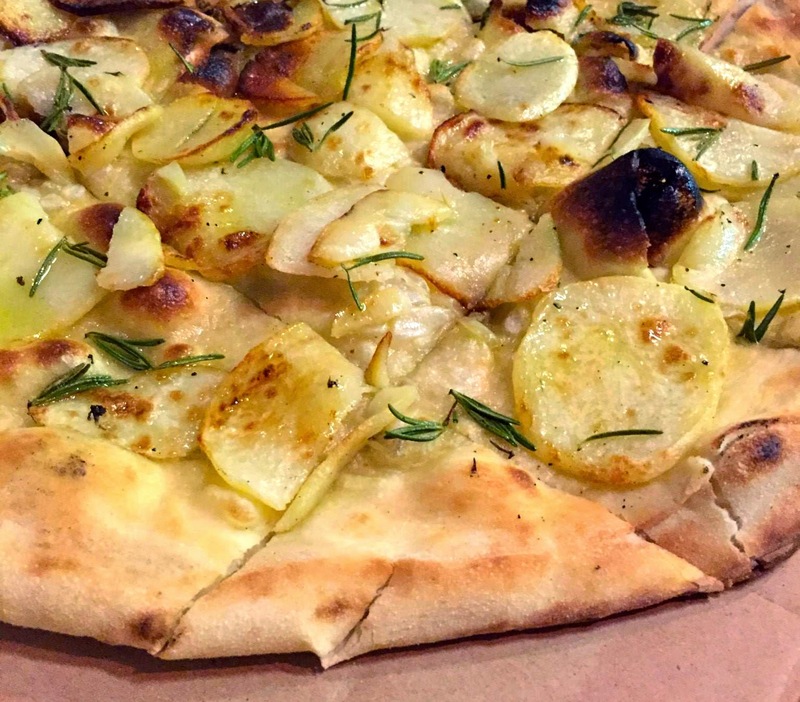 Antipasti platters to share include woodfired pizza with potatoes, garlic and rosemary, proscuitto and pickled vegetables. Forget dainty morsels or fancy foams. Modelled on a classic Italian lunch, this pop-up on peptides began with shared plates of antipasti to pick at - house-made pizza with potatoes, garlic and rosemary, curls of prosciutto and salami, pickled carrots and Asiago cheese - baked semolina gnocchi with pecorino cheese, veal saltimbocca with crispy sage and pancetta and fresh calamari fritti with lemon and rocket. The woodfired oven at Salt Meats Cheese sees a bit of action at the Tutti a Tavola event. 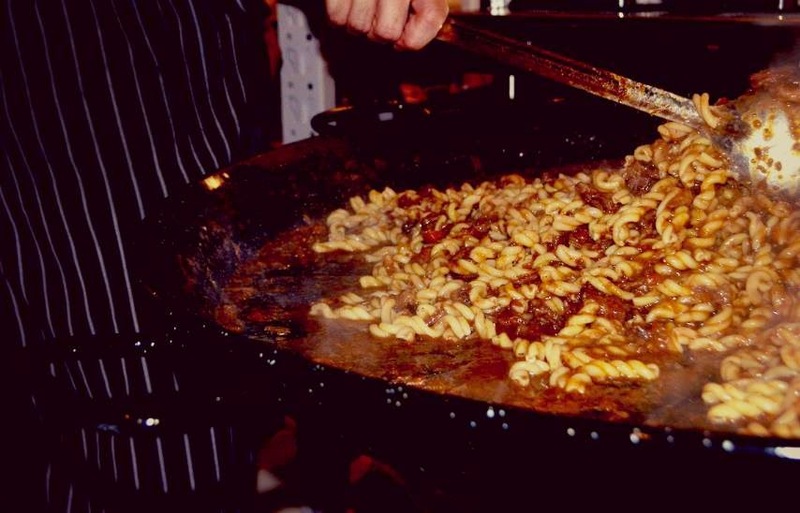 The feast also included a 20kg shoulder of lamb cooked in Salt Meats Cheese's new wood-fired oven (dubbed The Pizza Box), a whopping 10kg of strozzapretti pasta with a rich, tender oxtail and celery ragu cooked in an oversized paella pan in front of the guests; and an avalanche of salad leaves. Sweet tooths were also sated with rum baba for dessert. 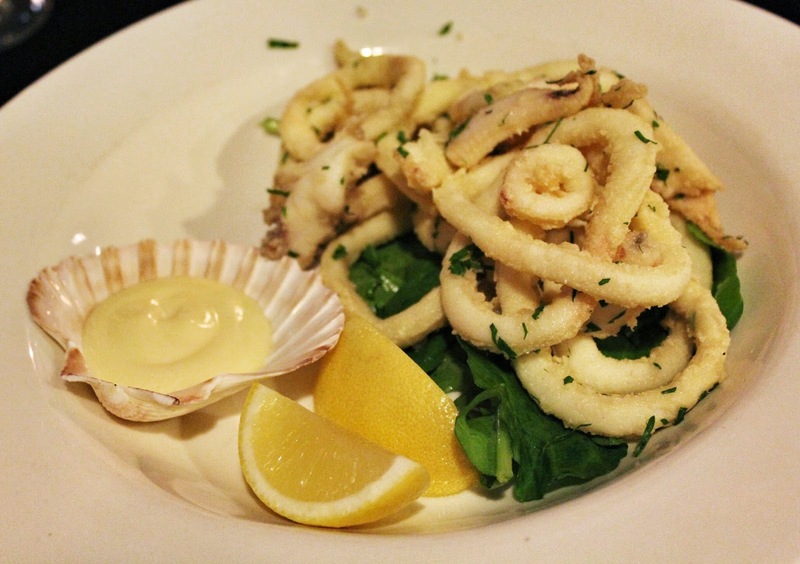 Fresh circles of tender calamari fritti served with lemon and rocket. Photo: Saskia Mulder. "These events are about my idea of Italy. It's about people coming and sharing plates with strangers and leaving as friends. There are no nametags on the table, so it's very informal and about bringing people together and having fun," he says. 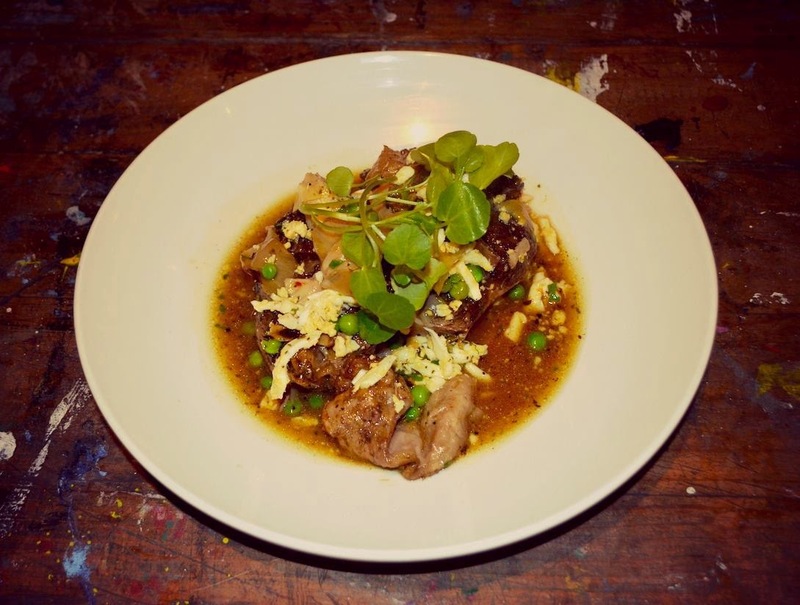 Meltingly tender woodfired lamb shoulder with artichoke, egg and peas was a standout dish. 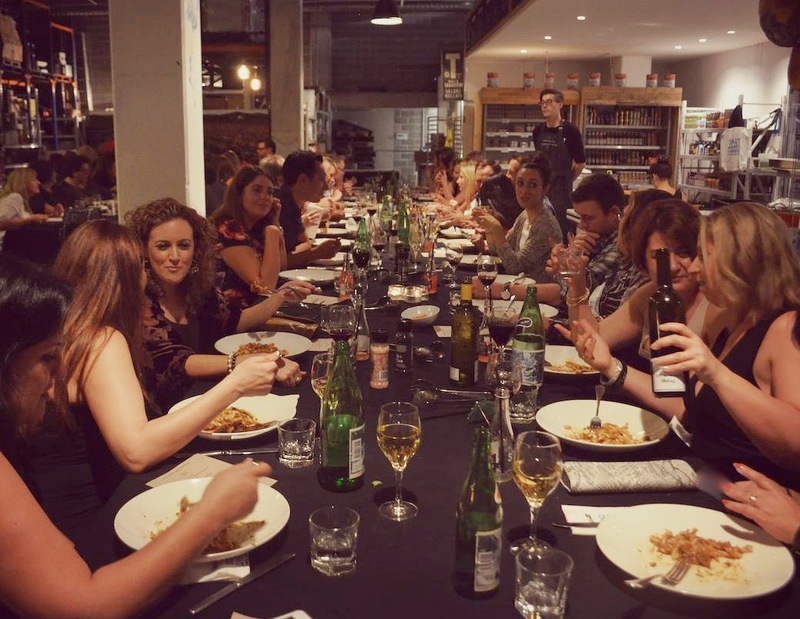 Joining us at our communal table is a friendly couple from the Central Coast, two Italian-Australian sisters who live in Haberfield, a gaggle of women who have attended all of Mele's feasts and a couple celebrating their anniversary. Strozzapretti with oxtail and celery ragu is sinfully good. 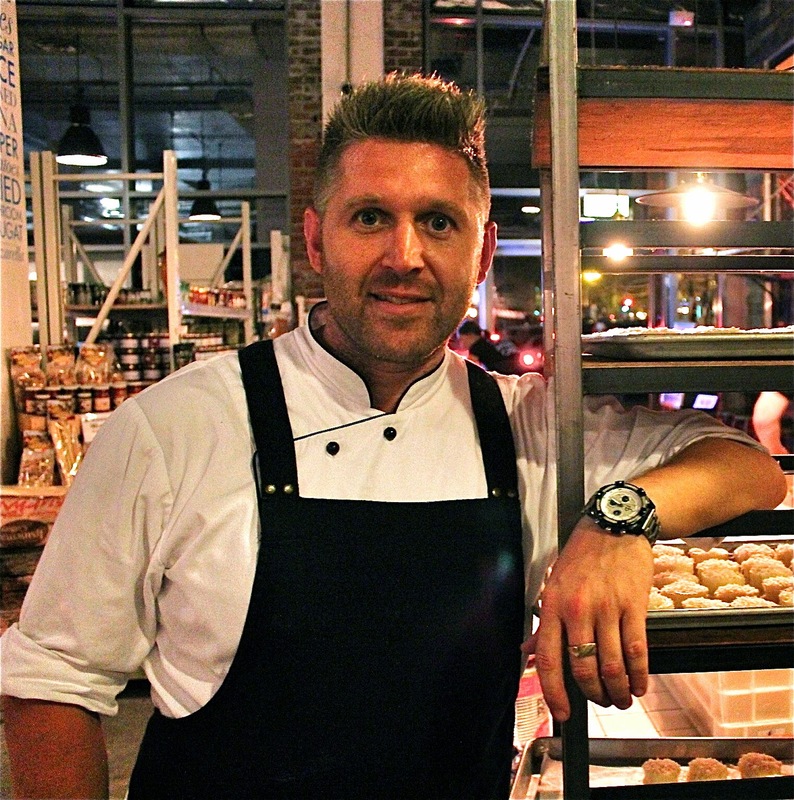 Mele has flirted with the pop-ups since 2011, when, as then executive chef of the Hugo's Group, he hosted the first Tutti a Tavola at Hugo's in King's Cross. 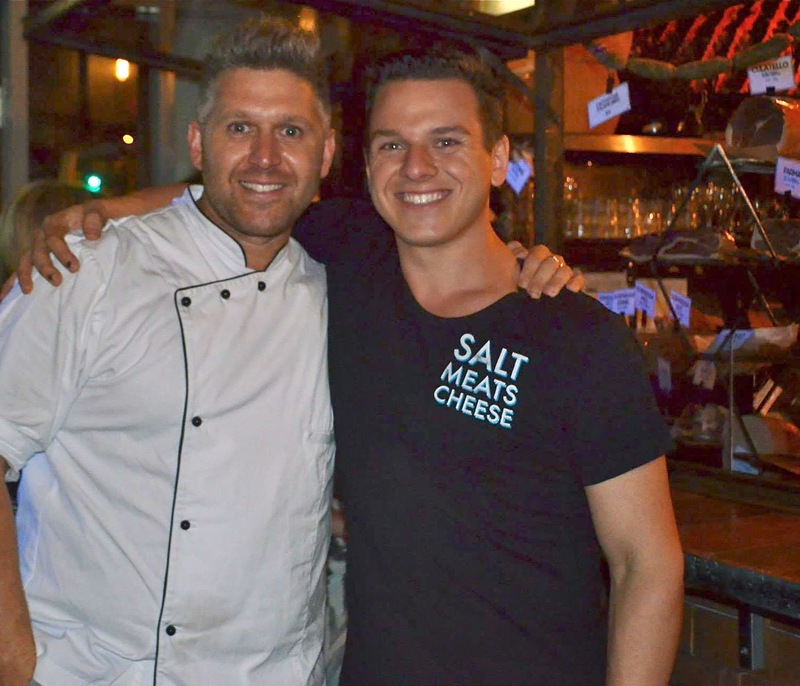 But Mele says he feels like he has found his home at Salt Meats Cheese, a faff-free industrial space that makes for a very relaxed dining experience. As the 80 or so guests arrive, he greets each and every diner as if they were family, and looks genuinely pleased to see so many of his regular, loyal customers. Massimo Mele says he feels like Tutti a Tavola has found its home at Salt Meats Cheese. With his straw-blonde hair, eyes the colour of galvanized steel and accent he describes "as ocker as it gets", Mele says he doesn't fit many people's image of someone with southern Italian heritage. But the chef, who spent the first six years of his life living in Naples, says he identifies strongly with his Italian heritage and the regional cuisine he grew up with. 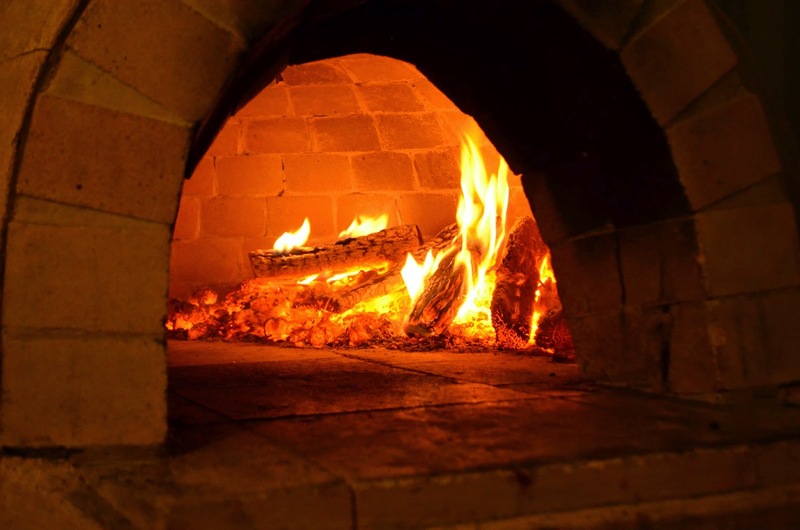 The Pizza Box woodfired oven comes into play during the Tutti a Tavola event. "When I go home to Hobart, I close the front gate to my parent's house and step inside my family home and it's like being back in Italy. My parents speak Italian and they have never let go of the culture. The food I cook is as traditional as possible, but it's also my version of the food I've grown up with," says Mele, who spent his formative years working in his parent's restaurant, La Bella Napoli. The sturdy Salt Meats Cheese warehouse is the perfect backdrop to Mele's feast, where each dish is delivered tableside and designed to share. Seeing Mele, tea towel draped over one shoulder, giving serious attention and care to the food as it goes out also makes you feel even more connected to the chef and the kitchen. Even a simple salad is treated with great respect and seasoned just so. The Salt Meats Cheese warehouse is the perfect backdrop to Mele's feast. "When you are cooking in front of people around a shared table, it's very intimate. It's for people hungering for proper Italian food, who want to chat in a relaxed, friendly environment and enjoy food made to share," he says. 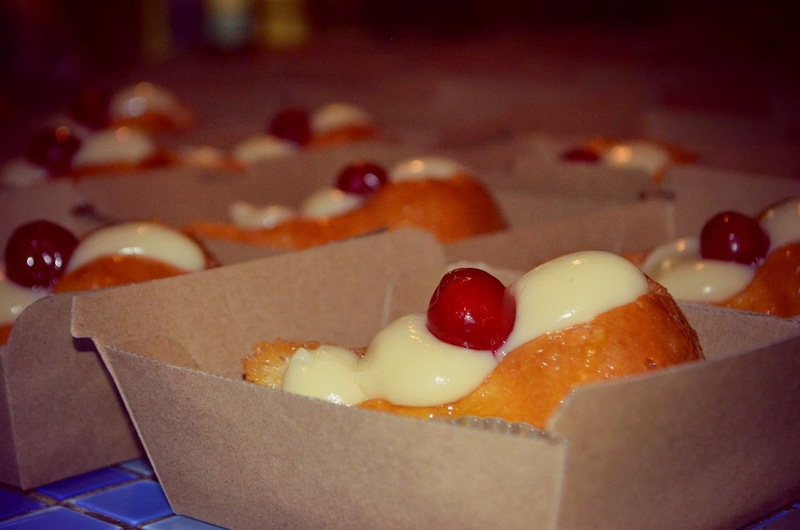 Rum babas all round wrap up this Roman feasts of epic proportions. The fact that the feast is something a team of nonnas might knock up at home on a special occasion Sunday means it is good honest seasonal food treated with the respect. That's reason enough to encourage 'everyone to the table' at Tutti a Tavola. Mangia, mangia. Carla Grossetti was a guest of Salt Meats Cheese and Tutti a Tavola.